Shaun Dykes and Trevor Burns of American CuMo Mining explain how their company can compete with large molybdenum producers. It’s been a busy year for American CuMo Mining (TSXV:MLY), and at the recent Mines and Money conference in New York, Shaun Dykes, American CuMo’s president and CEO, and Trevor Burns, CFO and director at the company, shared details on what’s been happening over the last few months. 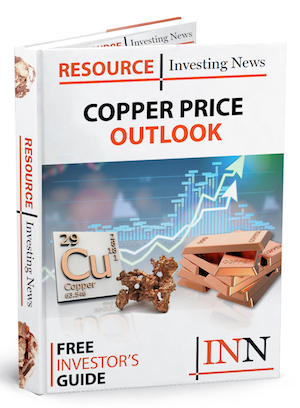 Notably, said Dykes, American CuMo recently completed an updated preliminary economic assessment (PEA) for its CuMo project in Idaho, one of the largest deposits of molybdenum, copper, silver, tungsten and rhenium in North America. According to Dykes, the low costs outlined in the new PEA are what make American CuMo different from large molybdenum producers that have struggled with recent low prices. Listen to the interview for more commentary from Dykes and Burns, including a discussion of their efforts to get molybdenum designated as a critical mineral in the US. The transcript is available below. 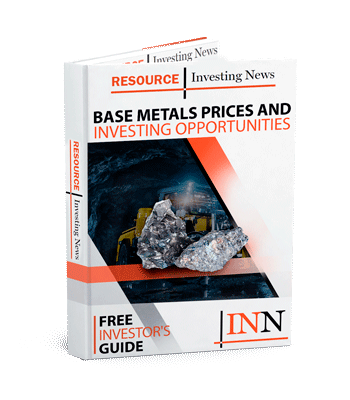 INN: We’re here at Mines and Money in New York, and Shaun, you just participated in a mining pitch battle with Thunderstruck Resources (TSXV:AWE) and Sphinx Resources (TSXV:SFX). Can you start by telling me about the event and how it went for you? SD: I think it went very well in fact for us. We got to present our project — I think our project was a little bit too big for the type of presentation that was involved, as the other two were more grassroots-type exploration projects. And we have a very, large advanced project with a $2.8-billion CAPEX cost producing about probably in the neighborhood of $660 million in cashflow per year moving forward. INN: Just for those who may not be aware, can you tell me a few more details about the project? SD: We’re basically the largest molybdenum deposit in the world and also in the US. We’re also the largest silver, tungsten and rhenium deposit in the US, and one of the top five copper deposits. Basically the size of deposit gives us the scale to lower our costs. So we’re now a very, very low-cost producer because our by-products pay for the cost of the molybdenum, and that gives us a return. We’ve just completed an economic analysis that shows that we have about a $5.8-billion NPV, a 25-percent IRR and as I said a cashflow of almost $660 million per year for an 82-year mine life. INN: There were lots of good question that came up during the pitch battle. I think one key issue that was raised was how American CuMo will succeed when other major molybdenum miners have had to shut down. What makes your company different? SD: Basically the one thing I mentioned just earlier: it’s the low cost. The current molybdenum producers that have been shutting down are all high-cost producers. We were a high-cost producer up to about two weeks ago when we did the updated economics. Thompson Creek, Henderson, all the molybdenum producers are $6 or higher per pound moly … and the price got down to $5, down to $7.60. In fact, molybdenum has moved the highest of all the metals since Christmas, moving from $7.60 to about $12.50 a pound. But because of our scale, because of our by-products, we are a low-cost producer. We’re economic, even when moly was at its lowest price during the last period. INN: You talked just briefly right now about prices. Some participants in the panel also expressed distrust about molybdenum in terms of the market and prices and things like that. What would you say to those types of concerns? SD: If you look at the history of molybdenum pricing, it has been up and down from a low of $5 to a high of $45. But then cobalt‘s been doing the same thing. The critical thing about it is not to worry too much about what the price is doing, but where you fit on your low-cost scale. And being the lowest-cost producer, yes, we make more money at higher prices, but the key is to make money and still be in production during these low-cost environments. And right now our current price to produce is $2.37 a pound, which is half the lowest price of $5 … that’s the advantage that CuMo has. And again, if you don’t study the thing in full detail and know these type of things to put it together, molybdenum is sporadic market. But then the other side of the coin is as the market has been reacting in the past four months it’s showing you that molybdenum was underpriced, and as the demand picks up, not only in the steel but also in the batteries, where … graphene‘s coming into the batteries, into the … drinking water and desalination plants. If you look at all the experts at CPM, Roskill, Platts, they’re all stating that the world is going to need 200 to 300 million more pounds of molybdenum in the next five years. Right now that supply is not there. And so whenever you have a supply issue — undersupply and huge demand — you know what happens to the price. And that is the opportunity that CuMo creates. INN: Continuing on that note, earlier this year you launched a campaign to make molybdenum a critical mineral in the US. I think you’ve explained a little, but why do you think that needs to happen? TB: The situation is that in the US there is a critical minerals list of about 30 minerals currently, and there’s been a real, real push to Congress, the Trump administration, to increase that number with a number of minerals, molybdenum being one of them. But also in fact copper and silver, which of course are prolific in our project. In fact, as Shaun has mentioned, tungsten and rhenium are a big part of our project. We’re the largest one in the US, and those are already critical minerals. And so if those other three were to be added — molybdenum, copper and silver — that would mean we’d have five critical minerals in our project. So that’s a big bonus for our product to ensure that it gets put through with all the permitting and so on. But we believe, as Shaun’s mentioned here, that molybdenum is truly a 21st-century metal. About 85 percent of the use is in steel. You know that the US government is so keen on getting the infrastructure rebuilt in the US, and so it’s going to need US steel, its going to need US molybdenum. Right now, we’re dependent on Chinese molybdenum, and that’s also a security risk because molybdenum is also used in an alloy, as is rhenium, for reinforcing fighter jet turbines and so on. There’s a lot of both economic and national security reasons why molybdenum should be added. We’ve been working extremely close with Congress to get this pushed through, and so far it looks very, very favorable that it would do so. INN: What does that process look like of getting molybdenum designated as a critical mineral? TB: Right. Well, as I say, there have been a number of Congress members that have put forth to the key decision makers for that to advocate very, very strongly that molybdenum as well as several others — I’ve mentioned copper, silver even gold, nickel — that they be added to the critical minerals list. This is all going through the process and we would hope that by August we’re going to get results on that. INN: Okay, well we’ll look forward to that. Just to close out, are there any other milestones we can look forward to at the company this year? SD: Yes. We are now proceeding to prefeasibility, delivering a prefeasibility study within the next year. That will update the economics and also optimize the economics by reducing our costs and increasing the current profitability. But the other purpose is to establish what the mine will actually look like, and get a mine plan in front of the government. It ties in with the critical minerals designation for the tungsten and rhenium that we’ve already got and hopefully the molybdenum. Being the largest deposit, we’ll be then pushing to make sure they expedite the permitting process for the actual mine and mine plan. Therefore how we establish the shareholder value increasing as we move forward … in our recently announced preliminary economic analysis, we’re looking at earnings per share of over $3 a share. And as you know, our stock is currently trading at $0.075, so there’s a large disconnect there. And we’re trying to reestablish that value moving forward. There will be drill results, there will be all sorts of things going through on the permitting side of things coming up. And of course, things like the announcement that molybdenum will be added to the critical minerals list. Editorial Disclosure: American CuMo Mining and Thunderstruck Resources are clients of the Investing News Network. This article is not paid-for content.